Splenic, Adrenal, Bladder, Renal, Hepatobiliary, Lymph Nodes, Reproductive, Gastro-Intestinal, Lungs, Cardiac & Thoracic Cavity, just to name a few. After the ultrasound is completed by one of our trained sonographers we have the ability to submit the results for consultation. 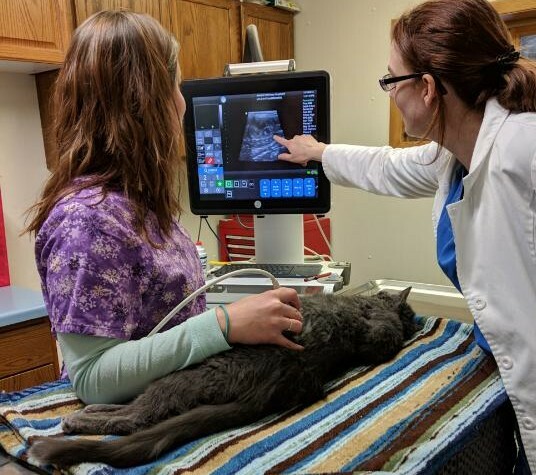 Veterinary Telemedicine allows our Doctors and Technians to have remote-assisted real-time ultrasound diagnostics with a specialist consult team.